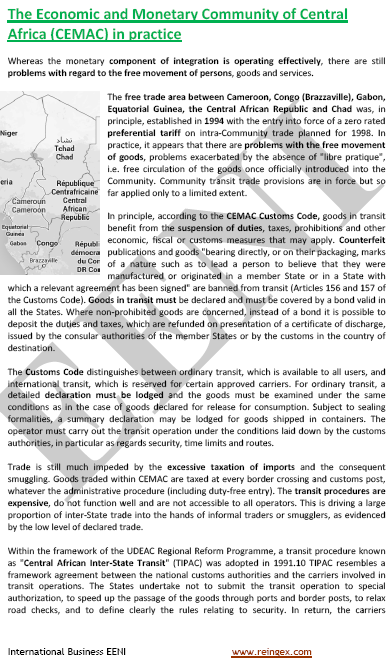 Syllabus of the Online Course (Subject): Foreign Trade and Business in Chad. N'Djamena. Syllabus. (*) Sectoral analysis of each sector is only available in French. 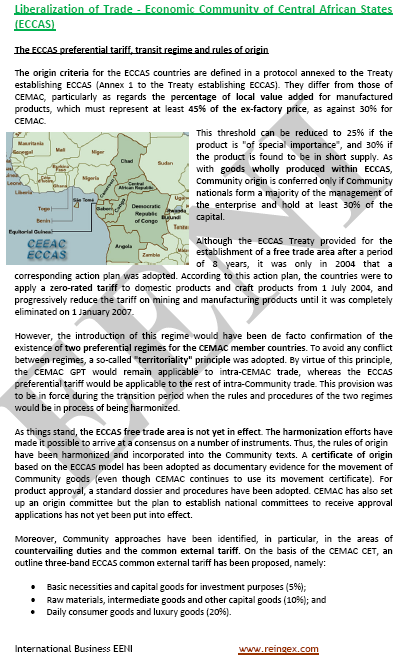 Description of the Online Course: Foreign Trade and Business in Chad. 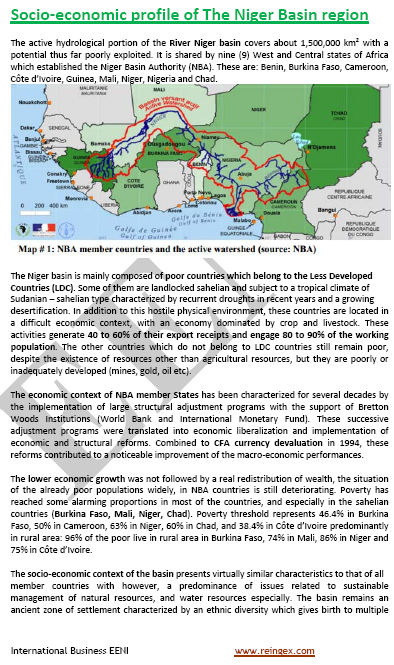 Located in the heart of Africa, the Republic of Chad is a link between North Africa (Maghreb) and Sub-Saharan Africa. 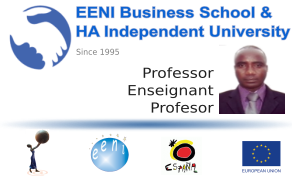 More information about Chad (African Portal - EENI Business School & HA University). 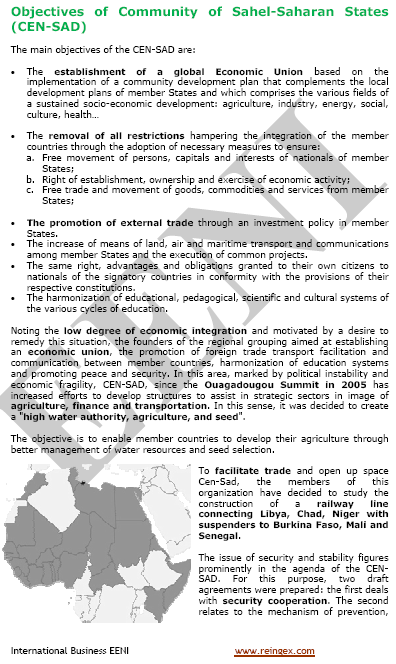 Chad belongs to the Central African Economic Area (African Civilisation). The Republic of Chad: a new African petrol exporter. Petrol: 90% of Chadian exports. 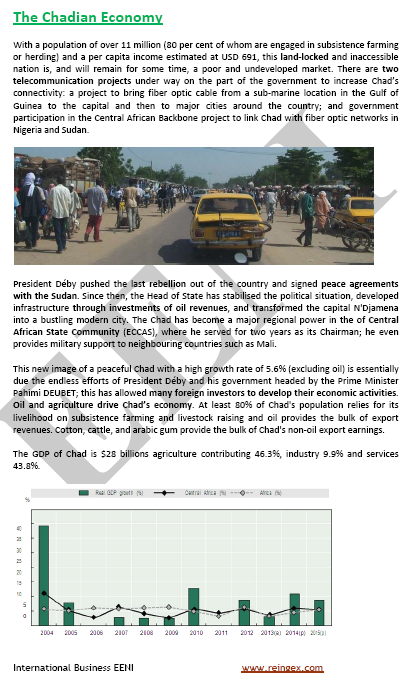 Significant investment in the Chadian petrol sector. 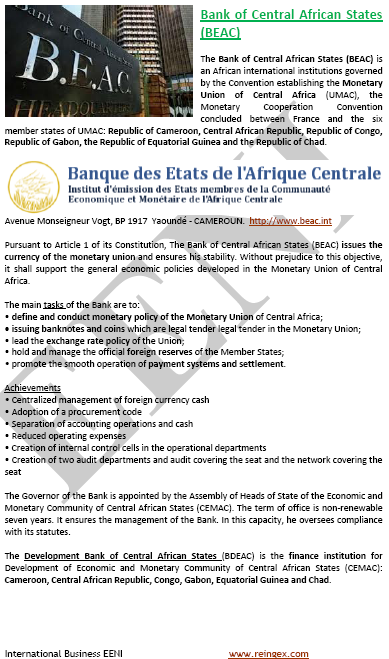 Chad, through its membership to the Bank of Central African States (BEAC), is part of the FCA Franc Monetary Zone. The CFA Franc, issued by the Bank of Central African States; it is fully convertible into Euros. 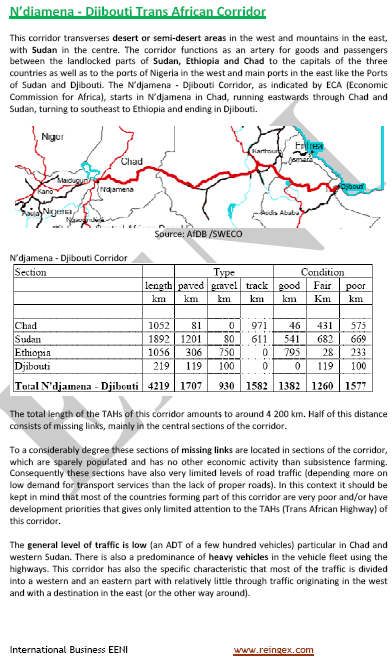 TBC LOGISTICS (CHAD). 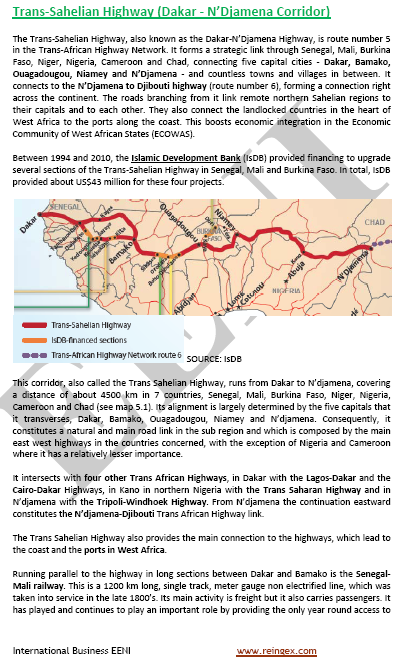 Founded in 1963 in Bangui (capital of the Central African Republic), Transport Banos and Co. (TBC) is now present throughout the African continent. 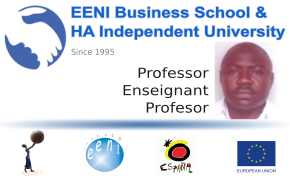 The operations are coordinated from Douala, Cameroon. 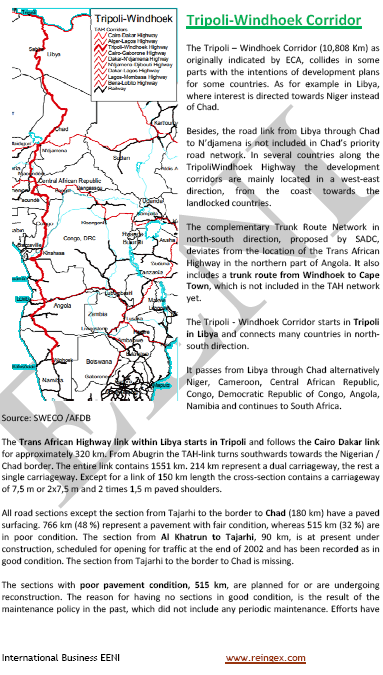 TBC has a network of offices and agents covering Africa including Chad, Congo Brazzaville, Nigeria, Guinea, Benin, and South Africa.